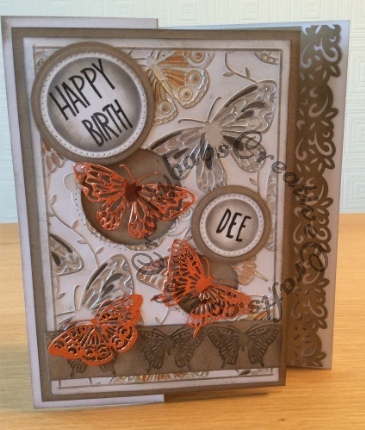 Butterflies are one of my favourite things to use when making cards, as any regular visitors will probably have realised by now. 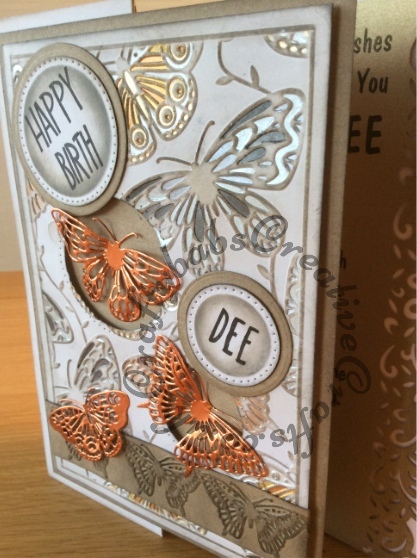 This is a birthday card made using Tattered lace butterfly dies and embossing folders. 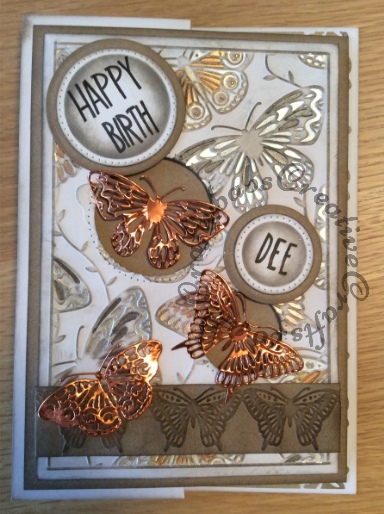 The feature butterflies have been cut from thin copper craft metal, a first for m but will definitely be using this again. For further details of dies and materials used just click on the individual pictures.